These 6 puppies were saved from animal control on 5/19/17, they are NOT adoptabled until 6/19/16 but they are available for pre adoption. 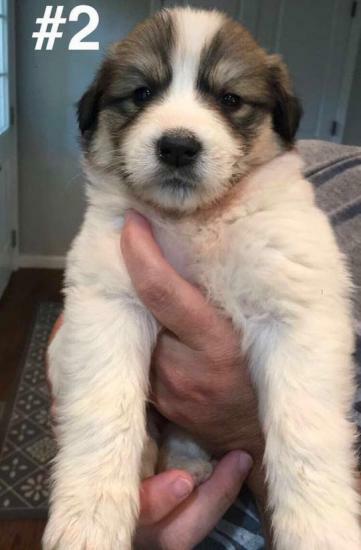 They are Great Pyrenees mixes. DO YOUR RESEARCH ON THIS BREED!! They are bred to be livestock guardian dogs but we WILL NOT adopt them out to be outdoor guardian dogs. They will be family pets only! Please know this breed gets over 100lbs, they shed, they require grooming, they like to bark, they ARE GREAT PETS!! But please make sure you know what you're applying for!